That’s a shame, because one specific social site is so simple to use, easily able to enhance your online branding efforts. That platform is StumbleUpon, a blog sharing site with over 1,000,000 users covering a very diverse user demographic. What The Heck Is StumbleUpon? StumbleUpon is a social media tool that people use to find new and interesting websites and share their discoveries with other StumbleUpon users. StumbleUpon gathers feedback from users about the sites they “stumble upon” and like. Based on those likes and dislikes, StumbleUpon displays web pages that reflect the likes and dislikes of those stumblers. As a business professional or a small business owner, you may be questioning how stumbling a few web pages translates into website traffic being delivered to your business site, so let’s take a look at the numbers that drive StumbleUpon. The number of people using StumbleUpon is an astounding 1,000,000-10,000,000, but let’s break that number down further. These demographics speak to the diverse amount of people using the site on a daily basis, and that’s why it’s advantageous for business owners to take the time to build brand recognition with StumbleUpon. Before you go any further, take a close look at your website. Without valuable content that’s worth reading, all your efforts are going to amount to a big fat zero, so address that issue first before you do anything else. Find out where your site’s traffic is coming from using Google Analytics. You’ll be able to determine where your site’s traffic is coming from and if it’s organic in nature or from other sources like Facebook, Google Ads or pay-per-click ads. Get ready to spend some time building a core group of followers as you rate sites by giving them a thumbs up (like Facebook’s ‘like’ system) or a thumbs down and leaving a short review of the site on its review page. This is how you’ll start to build your following. As you rate these sites, you’ll also update your own personal page profile. As this happens you’ll be creating peer networks that other stumblers will join if they share an interest in the websites you’ve recommended. Don’t Be Selfish—Share Your Content! The most important thing to remember about using StumbleUpon is to share the content you’ve found. It can be anything from a few funny pictures to a Power Marketing blog post you found valuable. Sharing content using StumbleUpon has gotten much simpler due to a site redesign that’s made it easier for companies to brand their businesses using channels. Business content can be optimized via a channel, across other platforms such as YouTube, Twitter and even RSS feeds to better facilitate a business’s content message across multiple social media platforms. Using StumbleUpon is pretty easy and it’s going to require some effort on your part by sharing content and building your network of followers, but remember the end result will be a tribe of followers actually interested in you and your brand. 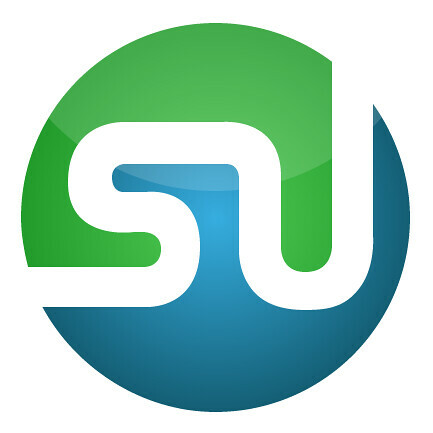 Are you using StumbleUpon for your business? Share your feedback in the comments below or on Twitter.